The New York Times, which lately has been operating as one of the few checks and balances on the Bush Imperium, has had enough of spineless Democrats who write blank checks for the prez. In a lead editorial yesterday that was surprising for its vehemence if not for its choice, the paper endorsed the challenger to Connecticut Senator Joe Lieberman's seat, thereby placing its heavy thumb on the scales of next week's primary and possibly ending slippery Joe's Senate career. Or at least one can only hope. The smarmy Lieberman has been trying to spin it differently, of course. He fancies himself a stubborn martyr to centrism, one of the few remaining national politicians who is above acting on naked partisanship. Instead, he says he has the best interests of the country at heart in backing the Iraq war. Give it a break, Joe. This is a guy who was quick to jump on Bill Clinton for his R-rated Oval Office calisthenics when it suited his own career. Fair enough--I've never agreed with my fellow progressives that those sins were entirely Clinton's private business. But the way he subsequently became a fawning, obsequious apologist for Bush & Company on their criminally negligent prosecution of the war, a war whose consequences dwarf whatever modest damage Clinton may have caused the country, was too much for millions of stomachs to bear. Including mine. Despite the morals-police hammering he once received from Lieberman, Bill Clinton recently went to Connecticut to campaign for him. Why? Theories abound, but I think it's pretty simple: Bill is concerned that the dynamics of this race may influence the outcome in another race, where a similarly opportunistic, triangulating politician (his spouse) will have to answer for her inability to stop splitting hairs and start speaking simple truths about where this Bush disaster has left us. Time to get out of the middle of the road, Hillary, where the only thing one finds is roadkill. --from the back-jacket copy of James Bovard's book, Feeling Your Pain--The Explosion and Abuse of Government Power in the Clinton-Gore Years. In my most recent media column, I mentioned AOL's not-so-successful attempt to tie up eyeballs and ad traffic with its network of online city guides. It looks like they're about to be revamped. This beta site (or test site, for non-nerds) talks a little about what AOL wants to do with these revamped sites, but this page suggests that Cleveland, unlike Columbus, may not be among the cities counted among the new network. Or perhaps it's just not part of the test. It appears the goal is to use much more user-generated content, to drive interactivity (and thus more page views, optimizing online ad revenue), and to link to more local blogs. There's a new section on the home page called "Blogs We're Reading." That's good. Those changes are part of a larger strategic shift for AOL, which is gearing up for a major switch in its business model, away from the monthly service fee charges and the billions of annoying installation disks they've mailed as introductory fodder and more toward simple web advertising. If there's any single architect of these changes at AOL, it's Jason Calcanis, who sold his Weblogs, a network of blogs, to AOL for $20 million. But the company asked him to stay around to help with its reinvention. He may have stumbled on Netscape (last week he offered a truce to critics), but some other innovations look more promising. Among them, I think, is Bloggingstocks, which seems targetted at Yahoo Finance. You can read about the thinking behind that interesting new site here. Everyone is of course trying to play catch-up to Google, which has become the Monster of the Midway. In its recent quarterly earnings reports, Google revealed that it now enjoys an astounding 24% of all revenues earned online, with no end in sight yet for their growth. That number has given pause to everyone, but especially competitors, who are dropping their business models to try to keep up. Microsoft is of course doing its usual thing: instead of pursuing its own innovations, it's trying to copy competitors. It basically copied Mac's elegant user interface for Windows, it's been trying to no avail to beat Google at search, and now it's just announced it will try to catch up to Mac in the iPod market. Good luck. But the $64,000 question is this: how long can Google continue to innovate at this scorching pace? The answer may be more complicated than it would appear. A couple of weeks ago, the Wall Street Journal published one of its classics of brilliant enterprise reporting, beating the world to a story about an eye-opening internal controversy Google's two young founders are having over secret plans for a party plane, which will include hammocks strung from the ceiling! Smart investors are always looking for clues to the staying power and attention span of a company's top leadership, and this article surely didn't provide much comfort on that score. Who Says Professors Can't Be Poetic? My friend Sandy Piderit recently returned from a couple weeks in Europe with the family, and decamped to Cleveland Heights with a new appreciation for the reinvigoration that vacations provide. "I am amazed at how refreshed I feel. It is as if my body and mind have rediscovered the beauty of an adagio movement in a symphony." But being the good management thinker she is, her inquiry didn't stop there. She also takes up the larger business issue of vacation policies. Sneak Preview of a Screen Godess. My wife was good enough to feed my Woody Allen fixation, by coming up with a pair of tickets to a sneak preview last night at Shaker Square Cinema of Woody's latest flick, Scoop. Woody's nervous, twitching schtick is getting really old now that he's a rheumy-eyed elderly gentlemen (with all the accumulated barnacles from his messy personal life), whose Brooklyn accent has long since become positively cloying. By now, it's almost impossible to remember how fresh and new his mannerisms seemed 30 years ago in Annie Hall, still one of my favorite movies ever. But he does still manage to get off some great lines in the new one. Of course, the real attraction is the dazzling Scarlett Johansson, whom I could watch on screen for, oh, about 25 hours before needing to get up and move around. And in this movie she plays an aspiring reporter who briefly dons a swim suit to get the story. Be still, my heart. I think I'll go see it again this weekend, just to bask in the technical accomplishments of this film, though...You can read more about Woody's thoughts on his career in this Q&A in Premiere Magazine. I Always Knew We Shared Something. I've mentioned J.D. Lasica more than once. He's a brilliant Bay Area-based writer who covers emerging digital media better than just about anyone. But then, he's been on this beat for at least a decade, ever since he covered new media in a decidedly old-media publication, the American Journalism Review, which didn't even have a companion website when Lasica began writing his column. I share many of his views about where journalism and media are headed, but I didn't know until today that we shared something else, as well: a birthday. Happy birthday, J.D. Be Crumbling in This Region? I mentioned last week that the Case business school and medical school deans were expected to step down shortly. 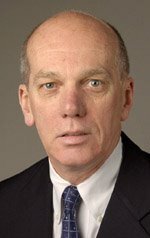 Word came yesterday that the Weatherhead School of Business Dean, Myron Roomkin, has indeed resigned as dean, though he'll remain on the faculty. The PD used the word "abruptly," though that's generally a highly relative term. What might seem abrupt to someone, especially someone out of the loop, might well be more like "long-rumored" to another. In any case, he won't be missed by many, judging by the PD account and other complaints I've heard for some time. I saw him in action just once, doing emcee duties at a speaker series, and he seemed stiff and remote beyond belief. But then, I already had a deep bias against him, for the impossibly brutal and ham-handed way that he sacked a friend, Ed Morrison, as head of REI, a think tank in the Weatherhead School that was doing too much grassroots economic development for the Soviet-style commisars who run parts of our business community. It turned into a giant black eye for the school, which looked to be kowtowing to outside pressure (there was and is no other way to interpet it). Before his memorable disavowal of his earlier remarks in a Joe Frolik PD editorial-page column (there are those echoes of the Soviet era again), Ed angrily told anyone who would listen that the real reason he was being removed is that he refused to deliver bought-and-paid for research that powerful people such as chamber head Joe Roman requested. Sorry, but I choose to believe the initial comments rather than the later disavowal. The Cleveland establishment has a long, shameful history of trying to get blue-chip names in academia, including Harvard, to provide the cover of credibility for its wish list, a credibility that it cannot muster itself. Happily, Ed had the last laugh. And therein lies much hope for our regional future. The Cuyahoga County Commissioners, to their everlasting credit, poked the Roman and company Cleveland "Partnership" forces in the eye by hiring Ed and his I-Open consulting group to help oversee the Cuyahoga Next initiative. Can it be too much to hope for that this pleasing result signals that the old Soviet model, nearly two decades after the Berlin Wall fell, is finally beginning to crumble in this region? Or at least beginning to show serious stress fractures? I'd love to hear your thoughts, dear reader. 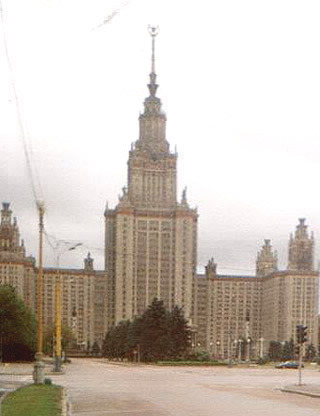 That photo, by the way, isn't of our beloved Terminal Tower, but rather the tower at Moscow University. A striking resemblance, no? My second media column in the Free Times explores the emerging battle between various substantial players for localized online news and information sites. It focuses especially closely on About.com, for a couple of reasons: it was founded by a Cleveland native and is now owned by the New York Times Company, which knows a thing or two about journalism, and is struggling with how to migrate to the web platform quickly enough to offset the declining prospects of print publishing. Because it appears in a local alt-weekly, the piece of course telescopes that battle down to what's happening in this region, but I'm following these developments on a larger basis, and expect to write about this subject again. A day after this was published, a couple of interesting related things happened. The Times reported that it will follow the trend of other papers by trimming the size of the print paper (read editor Bill Keller's memo about that to the staff here). It will also be running ads on the cover of the printed business page, once considered unthinkable, but now not so unthinkable, since its main competition, the Wall Street Journal has just decided it will begin running ads on the very front page itself. Meanwhile, the paper's parent company, the New York Times Company, also reported quarterly earnings. To no one's surprise, they showed that revenues for print advertising were flat, while online operations continued to improve substantially. Overall ad revenues rose just one percent from the second quarter of last year, but revenues for all its online properties (including About.com, NYTimes.com and the Boston Globe's online version) were up a healthy 35 percent. Of course the online revenues start from a considerably smaller base, about 10% of the size of print advertising. But those numbers are moving in reverse directions. NYT Company CEO Janet Robinson had this to say about About.com: "About.com turned in another quarter of outstanding performance. All three of its revenue streams--display advertising, cost-per-click advertising and e-commerce--were strong in the quarter, resulting in an overall revenue increase of 63 percent." Much of that was built on a 22-percent increase in visitors. In other words, eyeballs count, a proposition that was ridiculed before the dot-com boom but which is now beyond debate. Though I didn't have the space to go into it, all of this sets the stage for what will be a fascinating battle: whether the PD's online companion, Cleveland.com, long the only real kid on the block in this niche (which for years has boasted about being the most heavily visited site in Ohio, which may no longer be the case; we'll check), can protect its fortress. In the battle for eyeballs and the ads that come with them, the site has made one gigantic goof: it erases articles after a few weeks online. That gives it far less opportunities to bring visitors in via online searches, with a corresponding lessening of inventory on which to run ads. It seems absurd, given the ever-plummeting cost of server storage space and the trends in online ads. I expect that will soon be remedied, as Steve Newhouse--the Yale-educated son of Donald, who has run the papers for years--takes charge of the chain's online properties. He had one major victory last week that bodes well for his progress: Advance finally succeeded in aquiring Wired.com, the online companion of the iconic print magazine it purchased some years ago. That can only help the learning curve for its larger online efforts (just as About.com is helping the NYT Company, and Myspace is helping Rupert Murdoch's News Corp figure out the web). Hell, maybe they'll even manage to finally fix that impossibly bad site architecture which all of the Advance papers' websites have suffered under for years, to near-universal complaint, thus far to no avail. --Blog publisher Nick Denton (the man behind both Gawker and Wonkette, among others), a former journalist for the Financial Times, on why he retrenches when others are expanding and launches when others are retrenching. The new Vanity Fair has a good piece on California Congressman Duke Cunningham, the former Vietnam-era ace pilot who's now headed to jail for trading his influence on the House Appropriations committee for a cushy lifestyle from military contractors for whom he helped arrange Pentagon contracts. You've probably read at least a few scattered newspaper reports on this case, but the beauty of good magazine pieces is that they can connect the dots, and render a complicated story like this one a little more understandable. 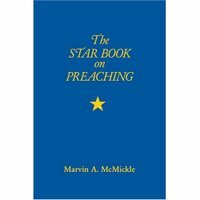 While it's not online, I suggest you hunt down a copy in your favorite bookstore or library. Meanwhile, the Washington Post does a nice job here of packaging its extensive, Pulitzer-winning coverage of the hydra-headed investigations growing out of one Jack Abramoff. It would take you some time to read all of this, but it's well worth picking through at least some of it when you have a little time. And today's New York Times contains an update on former Christian Coalition executive director Ralph Reed. Once the squeeky-clean face of a supposedly smarter, more progressive conservative Christianity, a face which once graced the cover of Time Magazine, he's now having trouble winning a race for lieutenant governor of Georgia. Why? Because of his ties to the Jack Abramoff lobbying sleaze. A century ago, Cleveland missed out on becoming the center of the auto industry, with bragging rights to the title of Motor City. Lacking the kind of forceful visionary figure that Detroit had in Henry Ford, the city was never able to build on the early success of the Winton Motor Car Company, which sold the first American-made, gasoline-powered car. A lagging appetite for risk was the major factor. As this account in the excellent Encyclopedia of Cleveland History puts it: "Why did Cleveland, an early leader in the American automotive industry, lose out to Detroit? There is no single answer, but as historian John Rae has argued, the manufacturers and financiers of Detroit were more willing to take the risks involved in building the massive plants required to shift to assembly-line mass production than were comparable businessmen in any other manufacturing center of the nation." All was not lost, of course. This region nevertheless became a key parts supplier to the automotive industry. But in the 21st century, supplying auto parts has become largely a commodity industry, as the Big Three (who are not so big anymore), under severe competitive pressure, have forced all their suppliers to shave costs to the bone. The future of this industry belongs to great automotive design, which increasingly will be the real competitive advantage for automakers, as GM's design director Ed Welburn told Tavis Smiley on his PBS TV program the other night. And what do you know--that just happens to be a significant strength of this region, thanks to the CIA. No, not that CIA. Business Week's website has some nice coverage up on the Cleveland Institute of Art's annual spring show, held in May. It showcased the work of 50 industrial design majors, whose work concentrates heavily on automotive design, for which CIA has built quite a reputation. And this comes on the heels of major national attention for CIA as the school's legendary industrial design guru Victor Schreckengost's contributions are recognized, along with breakthrough industrial design work (including the spinning toothbrush) of his proteges, CIA graduates Spirk and Nottingham. Let's hope we keep building on that unique center of excellence. Looking for a fresh prospective on our rust belt town? Try FaggotyAssFaggot.com. The author remains relatively in-the-closet (in the Cleveland blogosphere, that is), posting only as "Brian" and described in his bio as "a confirmed bachelor residing in a well-appointed bungalow in the elegant suburb of Lakewood. Now off with you, it's time for afternoon cocktails." Brian has a loyal base of fans and fag hags and the best attention to blog aesthetics in town. Drop in to learn about his latest gym rendezvous and to read of his adventures at Flex Cleveland, the world's largest bathhouse. A fun departure from the echo chamber. We hear Renner is working on a book for Gray & Co., an expansion of a true-crime piece he wrote some time ago while laboring on the Scene's staff. Crain's is reporting this week that CWRU's Engineering School dean is stepping down. And I'm hearing from an extremely reliable source that two of his counterparts, the deans of both the Case medical school and the business school, may be right behind him in heading for the exits. If so, that would of course be devastating for the university that never seems able to right itself, for reasons that remain baffling. But until those folks on University Circle manage to get their act together (before this century is over, one would hope) the caustic critique of billionaire Peter B. Lewis--who once called Case "a diseased university that is collapsing and sucking Cleveland into a hole with it"--will be difficult to argue with. --From a new book by Rev. 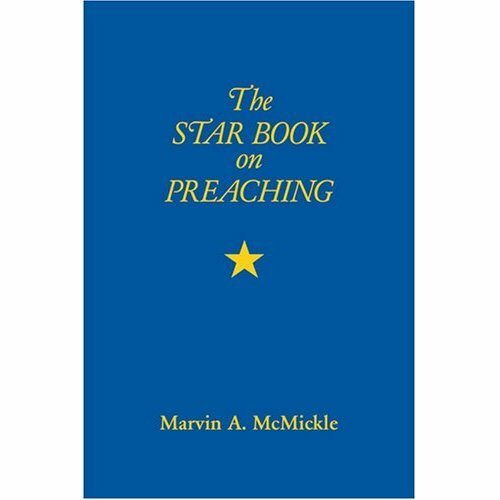 Marvin A. McMickle (who has been preaching since the age of 16), The Star Book of Preaching. You can browse all his books here. I was startled yesterday to hear the Comptroller General of the U.S., David Walker, on NPR, talking frankly about the enormous debt burden we face. We've all heard too many statistics, which can become numbing, but he got my attention with one figure: the total U.S. debt and unfunded obligation amounts to $400,000 per American household. And the recent Medicare prescription plan has added more. A quick check of the website for the GAO (the Government Accountability Office, which he heads), however, showed that he's apparently been talking about this issue for some time. Like the post-Watergate Inspectors General, who keep independent watch over each federal agency, the GAO is supposed to be insulated from political pressure at it goes about rooting out waste, fraud, abuse and even deeper financial villainy. It answers to Congress rather than the executive branch, but of course Congress has mostly operated as a wimpy rubber stamp to the tough guys in the White House for several years. Walker no doubt catches some occasional hell from his overseers for this kind of boldly independent criticism. But then, a check of his bio suggests that he's perhaps learned the hard way that speaking up for sanity by pointing out inconvenient facts is the best long-term option. Before joining the GAO, after all, he worked for the now-defunct accounting firm of Arthur Andersen. Pulitzer-winning columnist Connie Schultz, currently on leave from the PD, showed up last week on Huffingtonpost, as its newest blogging contributor. The piece was not uninteresting (and should provide plenty of red meat for those bloggers already hostile to her and/or her husband, Senate candidate Sherrod Brown). But the most interesting thing about it, I thought, was the tagline, where we learn that she plans to publish a book next year about the campaign. A Pox on Those Sportswriters. Cleveland.com blogger Chas Rich may be a hardened sports nut, but he's tired of sportswriters and their hair-trigger censoriousness. He writes: "Is there any breed of writer more repressive, reactionary, shortsighted and just generally hating fun than the sportswriter? Whenever something happens their first response is to call for bans, laws and restrictions." A Quote that Got My Attention. 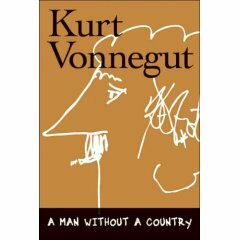 'Give me an underground laboratory, half a dozen atom-smashers, and a girl in a diaphanous veil waiting to be turned into a chimpanzee, and I care not who writes the nation's laws.' --the late humorist and essayist S. J. Perelman, as quoted on novelist Michael Chabon's website/blog. And Finally...You sticklers for language can now rest easy. A major dictionary has formally accepted the term google as a verb, perhaps three or four years after it informally entered the American lexicon through the time-tested route: slang. For anyone who writes on media topics, it doesn't get any better than earning a link from Romenesko. That's shorthand for Jim Romenesko, once a veteran journeyman newspaper and magazine writer, and now arguably among the three to five most influential people in American media. And all because he got serious about the web early, and stayed with it. More about him in a moment. The link was to my initial Free Times media column, which thus got off on its maiden voyage last week with a serious bang. Being linked from Romenesko is the equivalent of national publication, because most of those who work in American media--in every medium--tend to read Romenesko, if not daily then perhaps hourly. It functions as the media's digital water cooler, the place where nearly everyone goes to check up on developments in the media, news about those who work in it, own it or are covered by it. It's a place where you're just as likely to see stories about legendary characters like Ben Bradlee as you are some ethical scandal in a small-town newspaper. A link on Romenesko puts a story in national play, where everyone can mull it over, laugh about it, get angered by it, and especially follow it up (or steal the story idea, with or without attribution). Romenesko is a former police reporter who later wrote a media column in Milwaukee magazine for 13 years. In the '90s he caught the web fever, and before going to work each morning as an Internet columnist for the St. Paul Pioneer Press, he began posting media-related stories that interested him on a site he called MediaGossip.com. His hobby soon became his fulltime job after the Florida-based Poynter Institute, a journalism education outfit, recruited him to help draw traffic to its site. And has he ever. Slate's Jack Shafer says the site "functions brilliantly as an ad-hoc, post-publication peer review mechanism for the journalistic profession." He also noted that it's "irreplaceable because it gives honest reporters public leverage over their corrupt colleagues, their timid editors, their bullying publishers, and their craven owners." The Boston Phoenix's then-media critic, Mark Jurkowitz, meanwhile, once noted how Romenesko wields significant influence on media culture "by establishing a kind of town square where an event in one newsroom can be instantly relayed to a wide audience and then trigger a noisy clash over values and standards." What I, and I think many others, love best about Romenesko is how he's proven that one smart, discerning person, intelligently leveraging the web, can have the kind of impact on an entire profession that it once would have taken a staff of hundreds of people to achieve. --Plain Dealer editor Doug Clifton, speaking at an all-PD media panel at Landerhaven in January. Next Tuesday, at the same venue, editorial page editor Brent Larkin and uber-lawyer Fred Nance will take up the same subject in a not-to-be-missed luncheon event. This week begins an every-other week media column I'll be writing in the Free Times, one of two Cleveland alternative weeklies (and a special welcome to Free Times readers who've never visited before). The debut column concerns a subject which you may have been reading about elsewhere--the federal government's crackdown on leaks from classified information and grand jury investigations--but which until now has only been mostly a theoretical concern in Northeast Ohio. No longer. The federal corruption trial of Nate Gray and others close to former Cleveland Mayor Mike White, which took place last year in a federal courthouse in Akron, led to several plea agreement as well as a conviction of Gray. He's now appealing. But the case has also had a fascinating postscript, as the judge and the prosecution try to learn how certain sealed documents leaked out into the media, eventually landing in articles in the Scene and, a day later, the Plain Dealer. As the column explains, the special prosecutors in this case are likely to subpoena reporters, setting the stage for what would no doubt be a case of legal trench warfare. The owners of both the Plain Dealer and Scene have a history of aggressively protecting their work from legal tampering. It couldn't be a more appropriate time to put a spotlight on this tawdry (and sadly increasing) practice of trying to pry sources out of members of the media, just a day after we celebrated the 230th birthday of a nation whose founders put freedom of the press at the center of our system's checks and balances on government tyranny. The Supreme Court last visited this subject way back in 1972, when the justices were considerably more media-friendly, establishing what's come to be called a "qualified privilege" for media, which kind of/sometime protects them from having to testify about sources. This half shield has been a source of debate ever since. This case will be closely watched, perhaps even around the country, and I was glad to be able to get onto the record the first substantial look at where it may be headed. I hope (and expect) others will keep a watch on this, while I go on to many other issues. And god knows, there's never been a better time to write about media developments. Nearly everything is now in flux, with new media changing consumption habits and old business models morphing into giant question marks about who will underwrite serious reporting, and how. I've been lucky enough to have been in the middle of some of these developments, and thus see at least as much cause for optimism as for concern. I plan to follow all of this ferment--the media equivalent of what an economist named Joseph Schumpeter famously called creative destruction--and try my best to explain what it might portend for the public, and perhaps even for democracy. 'Hi. I m rini from jakarta, Indonesia. I read ur weblog and i was impresed that even though you already writting much but u still considering to share what u tough trough the weblog...I m editor staff for kid and teen comic and magazine, espesially in product with Disney lisence. Keep posting nice articles, people would like it.